Update: Apparently the sofa overrides the new City Living Version. I don't have the expansion so I can't update it yet, but I've added stand alone versions instead. If you have the expansion please delete the original and download the new version instead. Ever wonder why EA would make a piece of furniture with no matching pieces? Me too, and I don't have an answer, but I do have a solution! For the Hipster Hugger Sofa, anyway. 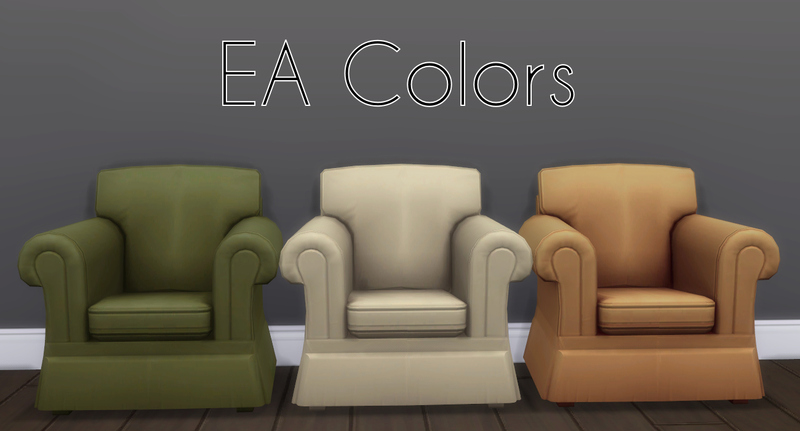 Here are a matching loveseat and chair, in EA's original 3 colors plus 24 new recolors! HipsterAddons: Chair and loveseat with EA and new colors. They do not need to be unlocked to purchase. 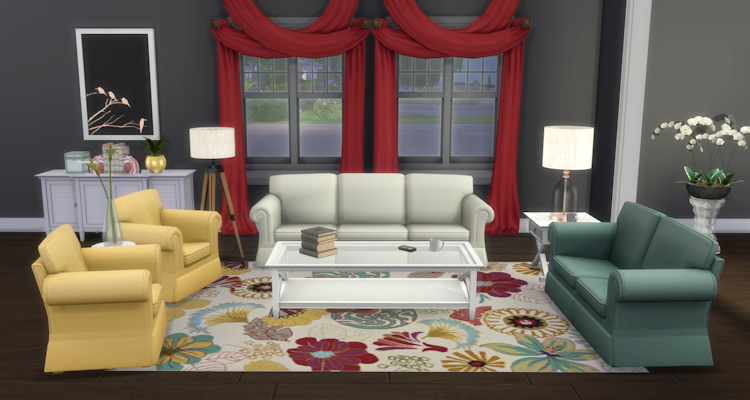 HipsterAddons_Locked: Chair and loveseat with EA and new colors. They need to be unlocked just like the sofa. HipsterHuggerSofaRecolors: Adds recolors to the sofa, still needs to be unlocked. HipsterHuggerSofaRecolors_Unlocked: Adds recolors to the sofa and unlocks it for purchase. However, please do not upload to any paysites or sites that require you to download through revenue-generating links (eg, adfly). You can use either or both of the chair and loveseat options, but only use one of the sofa recolors!